(The highrise in the background is my condo building being built. 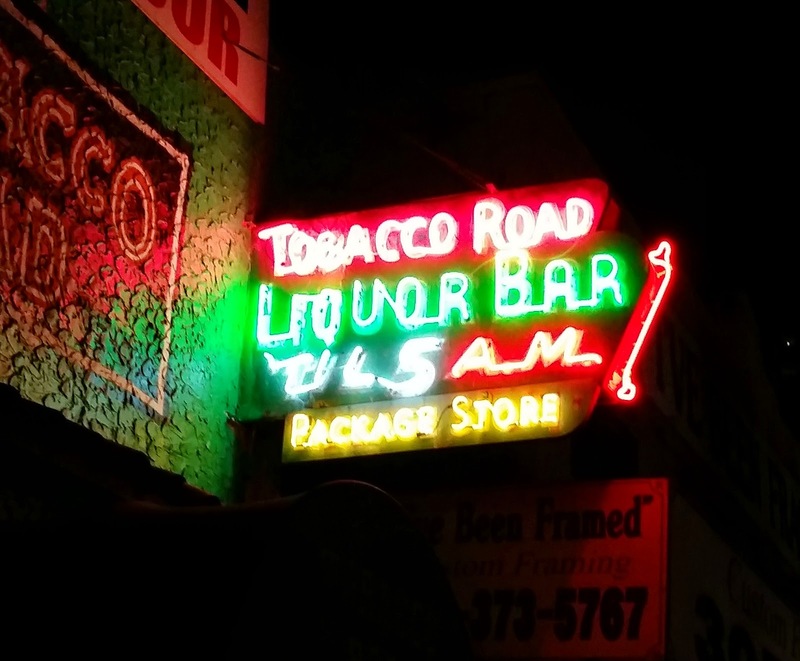 Saturday night, October 25, 2014 was the LAST NIGHT and farewell celebration to a landmark and legendary bar--TOBACCO ROAD. 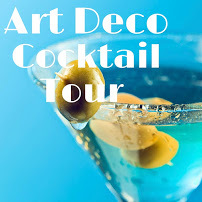 If scenes from Miami Vice of seedy joints, criminal elements and dangerous liaisons come to mind, then you guessed right. Tobacco Road was action packed drama and more. Tragically, this 99 year-old building in downtown Miami is the "rough rock in the way of the diamond buildup". It was purchased for $12.5 million and set for demolition in coming weeks. It remains the only existing building amidst glitzy 40+ story high-rise development. Tobacco Road, a place where the gritty front painted in a sickly green color, and the mysterious black silhouette of "Dr. FeelGood" eerily led you inside. Beyond the entrance you were stripped of title, profession, income bracket, celebrity status, etc., and joined a unified world of blues and beer. Yes it's true. One overzealous doorman, clearly not a celebrity sycophant, demanded that Cindy Crawford retrieve her ID from the limousine. She did. Tobacco Road--where vagrants, cops, and lawyers, comingled in a convivial atmosphere of jazz blues interlaced with sweat, beer, and humidity. The bar welcomed and adulated retired and forgotten musicians and bands often relegated to steak houses. 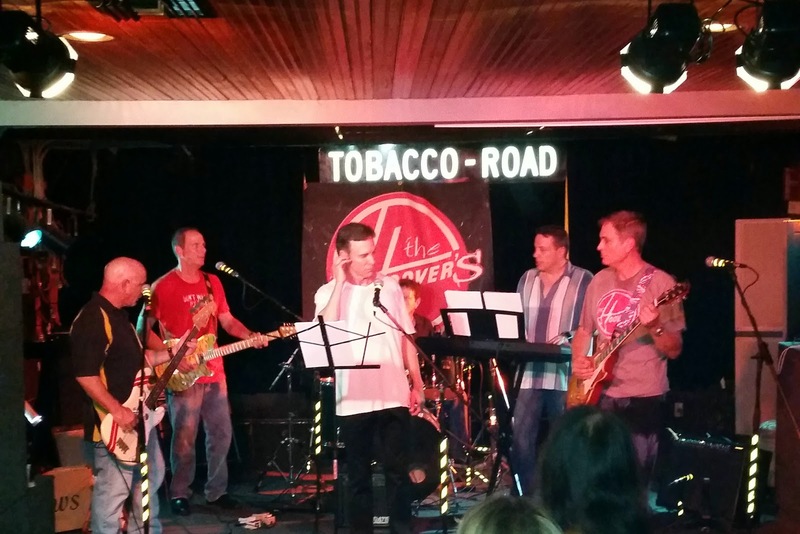 Tobacco Road reignited their spirit, name and career by attracting a new audience. However it was the intimacy, the close proximity of the audience to the musicians where one could see the sweat roll down their face, that chiseled a reputation for a memorable experience. 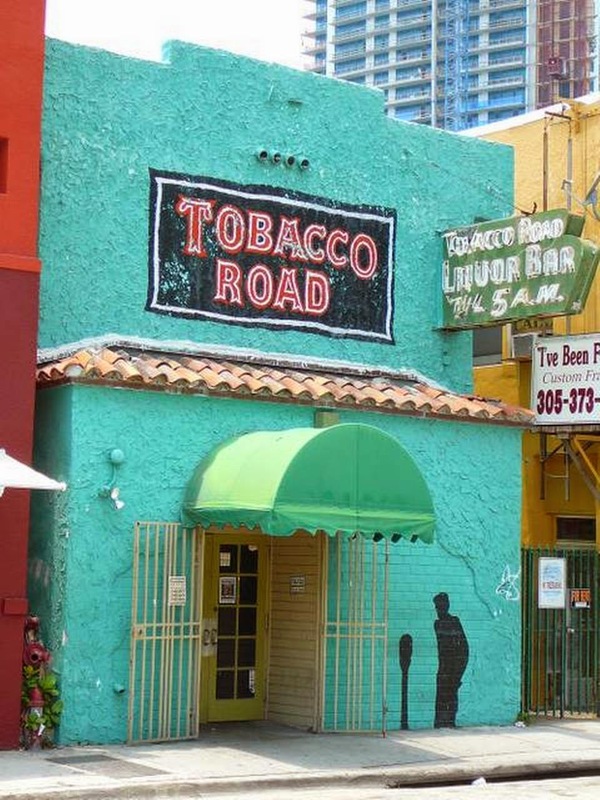 As a historical tour guide, and long-time Miami resident, Tobacco Road holds sentimental value for me. 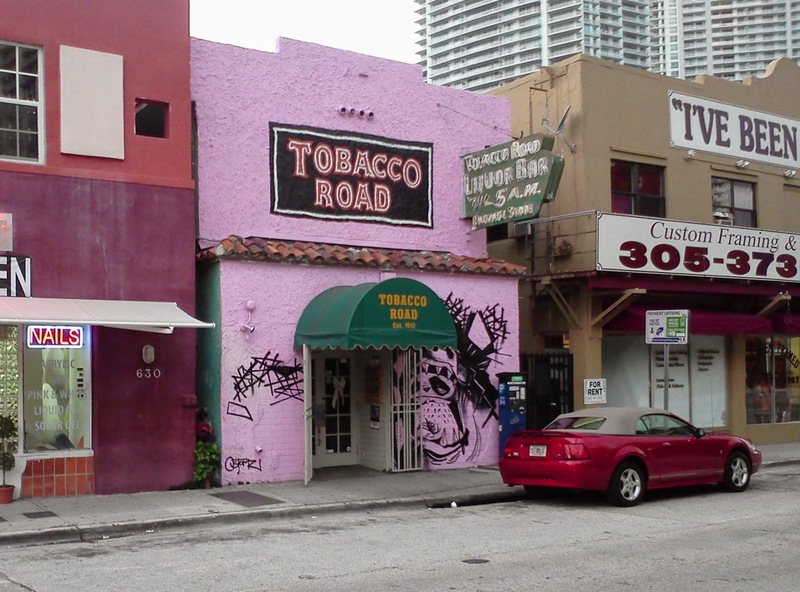 Sadly though the city lore that Tobacco Road is Miami's first bar dating back to 1912 is fabricated! 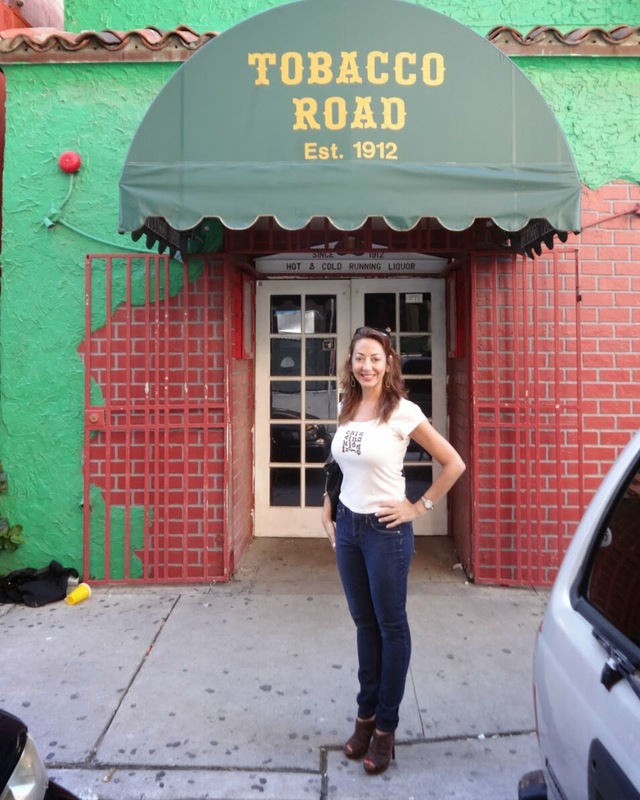 The bar we know as Tobacco Road started in 1970 by an ex-cop, Neil Katzman, fitting for an area overtaken not by nearby ocean waves but crime waves until the late 1980s. Miami was covered in white powder in the 80s and I'm not referring to beach sand. (see documentary Cocaine Cowboys). The name "Tobacco Road" was revived from a previous life in the 1940s. So while the bar we know and love is younger than many of its patrons including myself, the building does date back to 1915. However its origins were more commonplace. 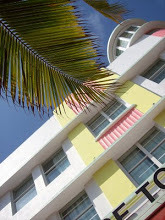 The two-story Miami Dade pine building started as a home and then a bakery. As the building aged with the time, there's little doubt it was complicit in the festivities of the Prohibition era. An illegal speakeasy operated upstairs and shelving behind a door held a hidden compartment for liquor bottles. I remember when the building was painted PINK! This was not long ago, around 2009. 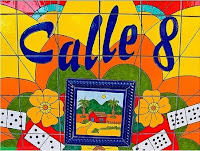 It was later that a masonry façade and infamous green color were added to coincide with the gritty, outer-edge of the neighborhood where people dared to venture at day or night. 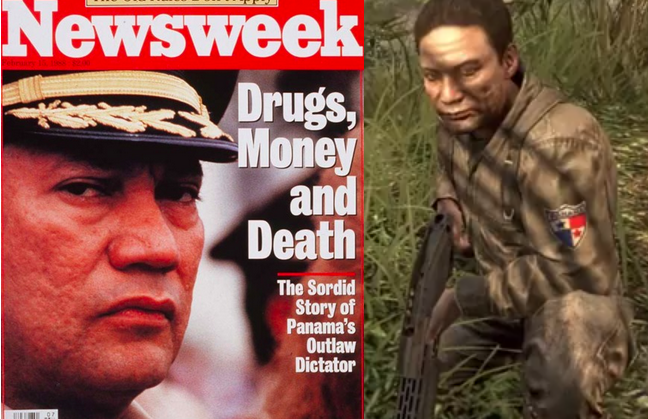 With local courthouses nearby, in April 1992, it was in the windowless, cramped upstairs of Tobacco Road where US prosecutors and feds closeted themselves in celebration of the winning conviction of deposed Panamanian dictator Manuel Noriega on drug and racketeering charges. This was nothing new. Tobacco Road was their usual Friday night drinking haunt. That same night the dive bar received a rare honor--a phone call from the White House of President George H. W. Bush, congratulating the winning team. 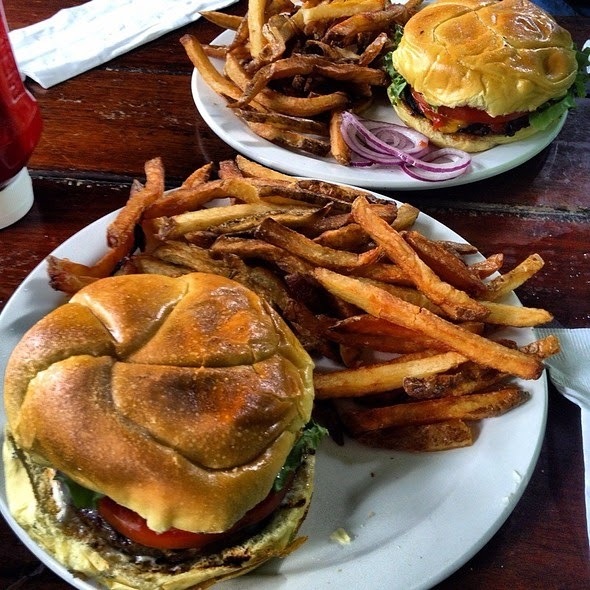 In the past few years, Tobacco was not just a drinking joint but known for best bar-turned lunch food. Employees from neighboring corporate offices walked in suit and tie for lunch on daily basis. I devoured many burgers and buffalo wings, a rarity for me. But this was the place to indulge in succulent meats and fries and oh so good. Tonight, patrons drove as far as an hour away to attend the last hurrah. 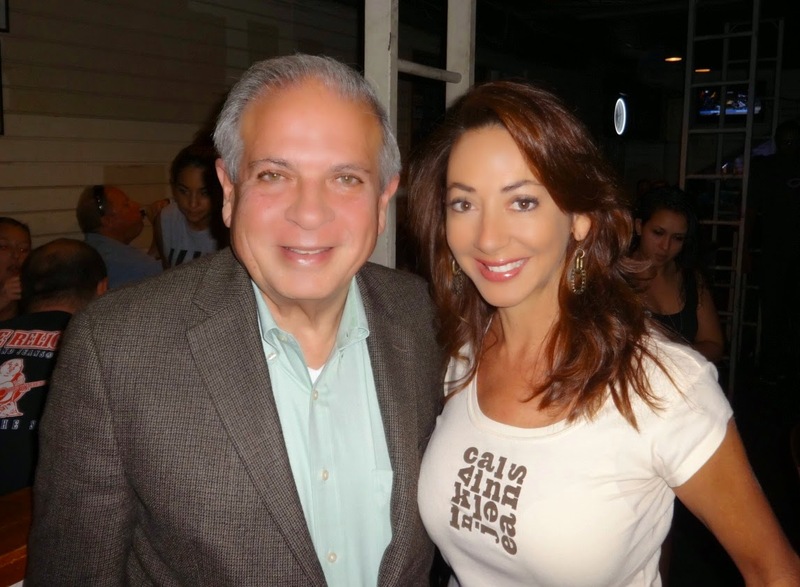 Miami Mayor Tomas Regalado's appeared on cue as TV camera crews serpentined through the bar interviewing patrons. CBS Miami also interviewed me briefly for a statement as a local resident. CLICK HERE to view the CBS Miami news report. Before I lived a hiking distance away. Today, I live across the bridge and walked to the establishment in five minutes. My condo building faces these remnant buildings of the rough riverside district. I arrived early at 5pm to garner a coveted seat at the main bar. The party ended at the usual 5am. Celebration was in full gear. For tonight's event, a DJ anchored the main bar, a live band geared up in the cramped upstairs section, and the long-time favorite Iko Iko band took center stage in the outdoor parking lot to a crowd of hundreds. The good news is that Tobacco Road will reopen down the street within a year. But it won't be the same. The stories, the smoke, the music, the intimacy, the spilled beer, the lewd behavior, are all ingrained in the historical pine wood floors and walls. A new building can not imitate or capture that historical essence. Regardless I'll be there for the grand opening and continue to share the stories with new patrons and tourists. Besides, I tell historical stories for a living!